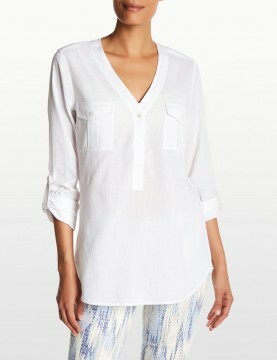 NYDJ Women's White Top in a lightweight fabric with a nearly-sheer look. Relaxed silhouette features long sleeve with tab detail. V-neckline and three-button placket. A Tie-Sleeve Tee by NYDJ, crafted from a soft cotton and modal blend. 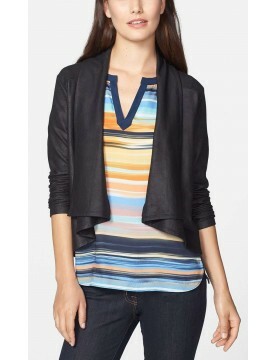 Featuring a high-low hem, with split-tie sleeves and a v-neckline. 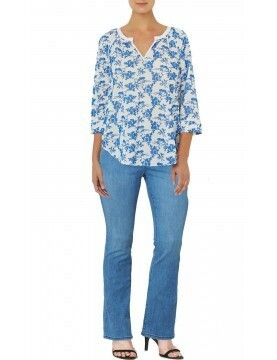 Feminine and modern 100% cotton voile embroidered top from NYDJ with all-over florals for spring. 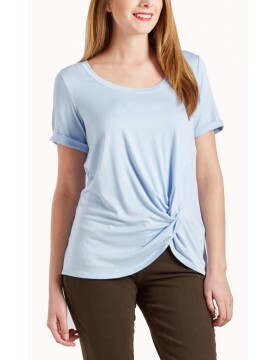 Relaxed fit with split neckline and three-quarter sleeves with bell cuffs and raglan seaming. Feminine & modern NYDJ Floral Georgette Shirt with mandarin collar, pleated center back and three quarter sleeves. 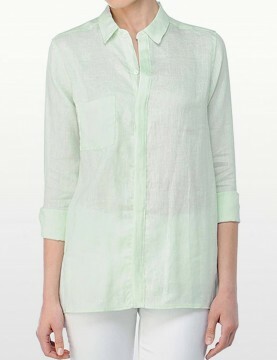 NYDJ Long-sleeve shirt in cool and comfortable spearmint washed linen. 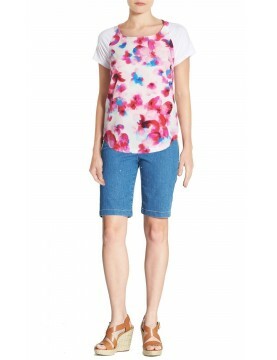 Casual sophistication in a relaxed fit, perfect for summer. 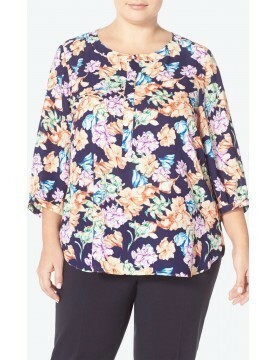 NYDJ super soft stretch jersey top boasts an elaborately embellished V-neckline. Loose, drapey fit with V Back and half dolman sleeves. Asymmetrical back yoke. 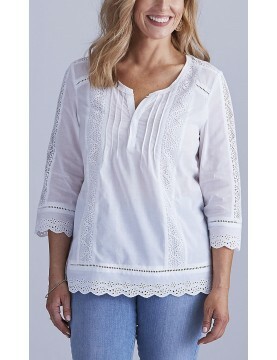 Soft and lightweight cotton blouse is trimmed with a beautiful scalloped eyelet lace at the sleeves and bottom hem.